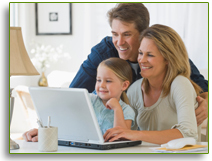 Geek At Your Door provides fast, onsite services to all residential customers. In most cases, we will have a highly skilled technician at your door the same day the service call is placed, including weekends. We will take care of all of your computer repair and service needs in a timely manner. Geek At Your Door provides excellent computer support for small to medium sized businesses. In today’s world of technology, it is usually less expensive for small businesses to outsource their IT services to another company rather than hire someone in-house. Geek At Your Door is that other company! We are here to help with all of your business IT solutions and provide you with the best technical support possible.